CHS is a farmer-owned cooperative working to help America’s farmers be more successful. Through belief in shared success and farmer-first values, they’ve grown into a Fortune 100 company returning nearly $2 billion in cash to their farmer and member cooperative owners in the last 5 years. CHS has a long-term commitment to helping grow future leaders through funding university students, cooperative education and rural youth leadership programs. The CHS Foundation has sponsored student participation in IFAMA' conferences since 2010 and is the premier sponsor of IFAMA's global Student Case Competition since 2014. Novus International, creates animal nutrition solutions for livestock, poultry and aquaculture. Novus operations include corporate offices, research and development laboratories and manufacturing facilities in more than 35 countries, as well as smaller offices with field staff in an additional 60 countries. BMO Financial group, understands agriculture—the cyclical nature of its industries, its volatile commodity prices, the impact of varying weather conditions and especially the diverse and unexpected industry shocks that can affect agricultural businesses. They have over 75 years of industry experience, and a team of dedicated agribusiness and protein banking specialists. BASF is committed to creating innovative solutions for growers, supporting them with the task of nurturing a hungry planet. Farming today is more complex than ever before. The unpredictability of the weather, control of pest and weeds, market price development, scarcity of natural resources, all this in a world heading toward 9 billion people. Conservis helps growers and producers meet growing, global demand for agricultural products with software solutions designed to help make better decisions, run more effective operations, share information with stakeholders, improve traceability, and implement sustainable practices. Santa Clara University’s Leavey School of Business offers a unique curriculum emphasizing ethical development and preparation for the fast-paced world of innovation, entrepreneurship and global enterprises (marketplaces). Rich partnerships with local employers create the ideal environment of a cutting-edge, networked, dynamic learning experience. The Texas A&M University’s Master of Agribusiness (MAB) is uniquely focused on the food and agribusiness sector with an emphasis on combining economic and business analysis, and incorporating quantitative methods as the basis for decision-making. Case-based research and team performance, highlighting cultural and learning style diversity, are the cornerstones of the MAB integrated capstone courses in strategic management and financial analysis. The Center for Food and Agriculture Business at Purdue University offers of a variety of professional development programs that are customized to individual needs and schedules through seminars, MS-MBA in Agribusiness Management and research. The College of Business and Economics at the University of Guelph is committed to developing leaders with a social conscience, an environmental sensibility and commitment to their communities. They offer a wide range of specialized programs in business and economics across undergraduate, graduate and professional education. Denmark’s food and agriculture cluster is the third biggest in the world, exporting to more than 130 countries and accounting for almost a quarter of the nation’s total product exports. Our capabilities within research, innovation and production cover the entire food value chain and offer major potential for further global growth. WICaNeM is predominately known for its well-known conference regarding management, economics, and organization of chains and networks in a Life Sciences context. It owes its success to the integration of a scientific and business program. 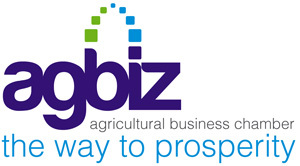 Agricultural Business Chamber strives to promote the vitality of Agribusiness in South Africa enveloping their focus on the legislative and consumer polices surrounding a country’s economic growth. Facilitating an agribusiness environment by integrating a commercial and sustainable agribusiness environment through liaison and co-operation with influential groupings within the business environment, both locally and internationally is one of their main objectives. Global G.A.P. emphasizes on consumer’s products and their product safety, environmental impact and the health, safety and welfare of workers and animals. Implementing their concept by patenting their independent certification system for Good Agricultural Practice (G.A.P. ), this reendowed concept has set the standard for consumers’ requirements in the Agriculture world. 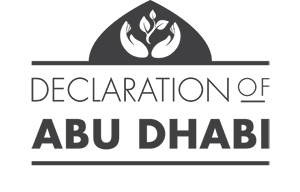 Declaration of Abu Dhabi is a global collaboration seeking efficient and cost effective criteria that enlists the principles of good agricultural practices among the world. Establishing awareness on the magnitude of our growing population, it seeks to establish a security with our natural resources to overcome hunger and malnutrition. Agricultural & Applied Economics Association focuses on serving the professional interests of members working in agricultural and broadly related fields of applied economics. By addressing a broad range of topics such as the economics of agriculture, international and rural development, resources and the environment, food and consumer issues, and agribusiness, their goal is to enhance all knowledge, skills, and tools relating to it. Food & Agriculture Organization of the United Nations (FAO) surrounds three vital goals, eliminating hunger, food insecurity and malnutrition by upholding a sustainable management and the utilization on natural resources. Food security will allow agriculture, forestry and fisheries to unite and become more sustainable. Global Food Safety Forum became an interrelated industry membership endorsed by government regulators such as China’s Ministries of Commerce, Health, Agriculture, and AQSIQ promoting a Global Food Safety Forum. The forum is a not-for-profit international organization focused on China and other Asian markets promoting food safety discussion among multinational companies. The Corporate Council on Africa established in 1993, is at the forefront of strengthening and facilitating the commercial relationship between the United States and the African continent. CCA works closely with governments, multilateral groups and business to improve the African continent's trade and investment climate, and to raise the profile of Africa in the US business community. New Mexico State University developed an education program the New Mexico Agricultural Mediation Program (NMAMP) mediates agricultural disputes between farmers and ranchers and USDA throughout the State of New Mexico. The program is administered by the Cooperative Extension Service at New Mexico State University and has been certified by the U.S. Department of Agriculture. Produce Marketing Association is a trade organization enhancing business opportunities and consumption and sales by connecting companies that focus on global fresh produce and floral supply chain. The World Food Prize recognizes all significant attributes relating to world food supply and agriculture science and technology, manufacturing, marketing, nutrition, economics, poverty alleviation, political leadership and the social sciences. University of Stellenbosch is held in high esteem at national and international levels for the quality of its training and research and also as consultant in the agricultural and forestry industry. SAI Platform is a global food industry initiative for sustainable agriculture connecting and spreading their philosophy, "the efficient production of safe, high quality agricultural products, in a way that protects and improves the natural environment, the social and economic conditions of farmers, their employees and local communities, and safeguards the health and welfare of all farmed species". The US Department of Agriculture provides leadership on food, agriculture, natural resources, rural development, nutrition, and related issues based on public policy, the best available science, and effective management.